The Boston Strong Tower. Photo: Courtesy of the Boston Public Schools. “Dear Boston Public School Kindergarteners,” Mayor Marty Walsh wrote in a letter last February. Walsh introduced himself and added that as some of Boston’s “youngest and most important residents” the children had the right to share their opinions about the city. It’s easy to focus on how cute this request is, but at the heart of this letter is a meaningful invitation for children to be engaged young citizens. “This is a big question so take your time in answering it. Talk to your classmates, your teachers, and your family. Do research to get ideas. Write your ideas and please make a model to help me understand your ideas better,” the mayor wrote, encouraging kindergarteners to engage in civic discussions. “Getting a letter from Mayor Walsh was very engaging, for both the children and their teachers,” according to Ben Mardell, an early childhood education professor at Lesley University. “It meant there would be an audience for their work; someone would be listening.” As we wrote here, Mardell has been a longtime advocate of recognizing young children as citizens and of encouraging them to participate in public life. In response to Mayor Walsh’s request, Boston kindergarteners have come up with some great ideas. They suggested erecting more office buildings so more parents could have jobs. Because Boston is so cold, one class proposed an indoor park with a spooky house. This construction project would also include a slide, a yoga area, a spider area, and a ghost area. Another class built a model of a four-story “All Boston Sports Stadium.” It has a level for each of Boston’s professional sports teams – and a retractable roof. The children also suggested a “history museum for kids” and “Water Travel World,” a zoo, park, aquarium, and pool. “You arrive at all locations by boat, so there is also a parking lot with a walkway to get to the boat launch.” And children from the Charles Sumner Elementary School posted a video that shows their construction process: from envisioning and planning to executing and revising. “Each classroom’s work was acknowledged by a second letter from City Hall,” Mardell explained. 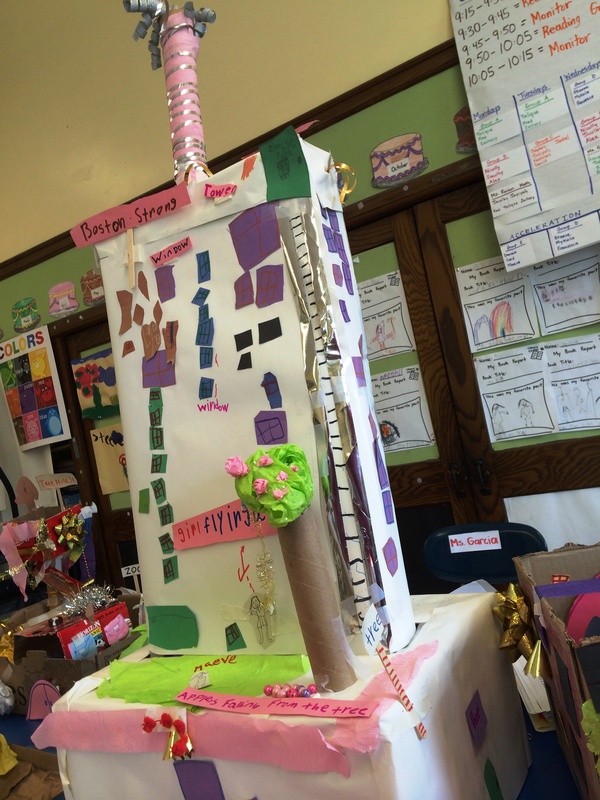 One example is the George H. Conley Elementary School, where children designed a skyscraper called the Boston Strong Tower. Its sole use is for children to live, play, and learn, hence the clothing and toy store, candy shop, pool, bouncy house, apple tree, and a place to fly kites on the outdoor garden balcony. Helping to facilitate the conversation between Mayor Walsh and the kindergarteners were Walsh administration officials Linda LoPriore, director of correspondence, and George Perry, an education policy advisor. What’s exciting about the mayor’s request is that it inspired a great deal of thought, teamwork, innovation, and civic activity. The result is a powerful example of how a high-quality early education can be engaging, instructive, and inspiring for children — and for adults.